Teachers and staff at Golden Valley High School challenge their students to reach their highest potential. They strive to provide students with essential skills and knowledge to become independent, responsible, successful adults. By teaching students to think critically, communicate effectively, work collaboratively, and to value diversity, teachers empower students to become conscientious and caring citizens. 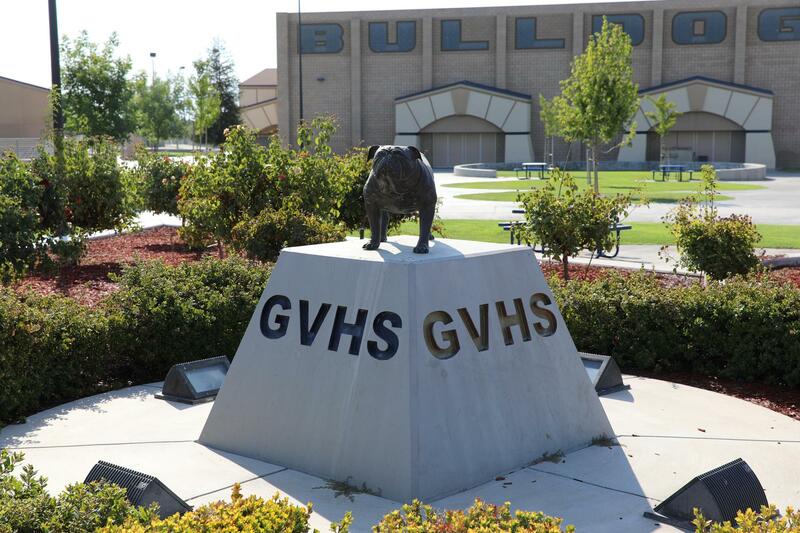 Golden Valley High School was founded in 2003 as the 15th high school to open in the Kern High School District. Golden Valley is one of the largest high schools in the district with a physical plant encompassing 58 acres which includes the Jack L. Schuetz Career Center, which provides vocational training for Golden Valley’s Special Day Class (SDC) students. There are approximately 100 classrooms and 5 computer labs. Golden Valley also has two career technical education shops – one is for auto and one is for wood. The school was built to accommodate 2,150 students, but current enrollment is 2,470. The majority of Golden Valley students come from three middle schools in the Greenfield Union School District. Golden Valley is situated at the southeastern portion of the city of Bakersfield, in an area that experienced growth in the early part of this century. Golden Valley High School grounds include facilities for a wide variety of extracurricular activities and sports including a football stadium which seats 4,015 spectators.